Spare blades for use with Prodec Advance Titan Heavy Duty Scraper 39267 . 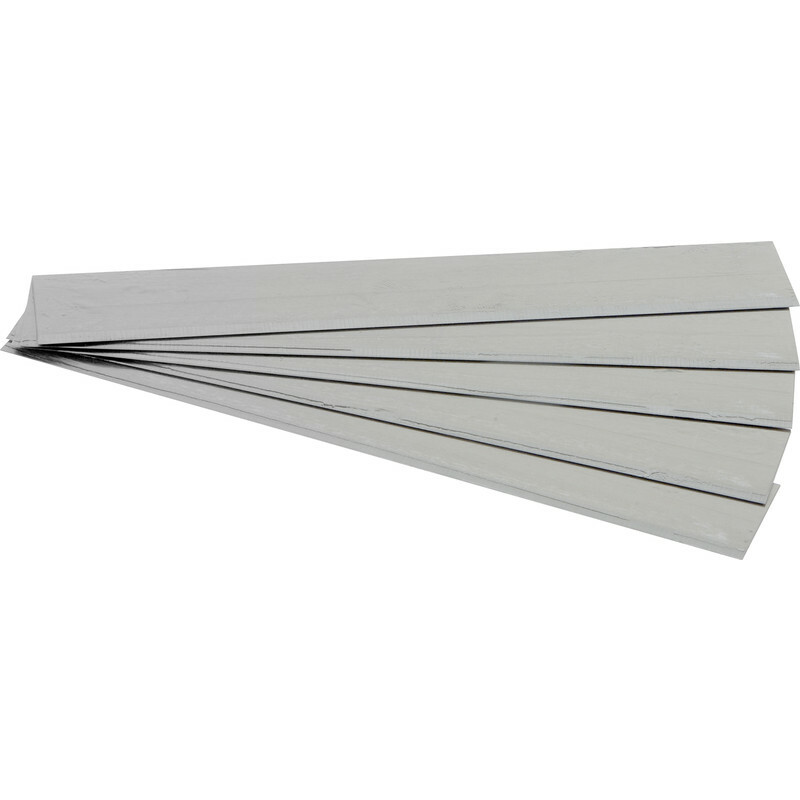 Prodec Advance Titan Heavy Duty Scraper 150mm Blades (5 Pack) is rated 4.4 out of 5 by 15. Rated 4 out of 5 by MikeRR from Save on the elbow grease Bought this to scrape off distempered ceiling on an old porch. Saved a lot of time, small hand scraper wouldn't touch it. Make the job easier and cleaner, reduce prep time. Rated 5 out of 5 by SimonAB from Fantastic tool Wood chip is usually a major challenge to remove. Not with this tool! The top layer slices off like a hot knife through butter, leaving just the backing that removes easily with water. This tool will save you lots and lots of time. I have tried other brands that look similar, but they do not perform even half as well. Rated 1 out of 5 by NBbrighton from Bad design. Weak points. Far from “heavy duty” The blade fixing mechanism broke within the first hour of use. One of the two rivet seats snapped, so the blade is no longer fixed. The mechanism for fixing really needs a screw not a cheap quick release.